From the personal to the political, social media conversations are at the heart of cultural and social change. 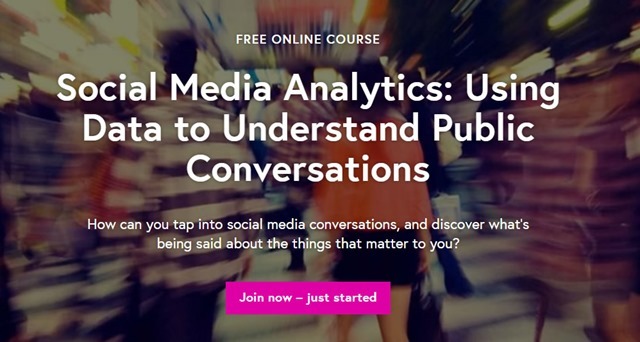 In this course you will be introduced to digital methods to analyse social media data on Twitter. You will learn from leading researchers, engage in hands-on activities and confront issues in social media data. We uncover the anatomy of a tweet and the cultural politics of Twitter. You will decide what you want to analyse: a company hashtag? A campaign hashtag? A cultural reference? You will learn to use TAGS, a free and open framework for accessing the data you need, and discuss the implications of accessing these data. What are the restrictions? What about user privacy and ethics? The course is using #FLsocmed as a tag and it would be rude for me not to have a look at the conversation.